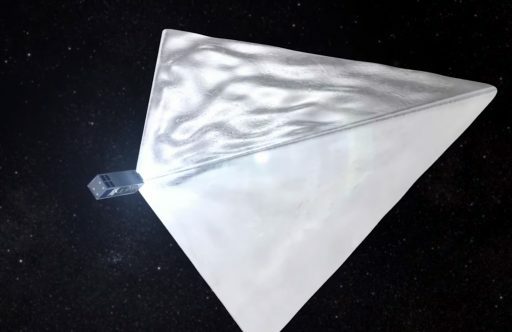 The Russian Mayak satellite failed to deploy its reflective sail that would have placed it among the brightest objects in the night sky, the project announced on its website and via Russian media outlets this week. Mayak, Russian for ‘Lighthouse’ or ‘Beacon,’ launched on July 14 atop a Soyuz 2-1A rocket carrying a total of 73 satellites into three different orbits as part of a complex multi-orbit, multi-burn mission dispatching the Kanopus V-IK Earth-imaging satellite as the primary payload along with five microsatellites and 67 CubeSats. Mayak was one of 19 CubeSats deployed from the Fregat upper stage during a 17-minute sequence starting two hours and 33 minutes after launch, targeting an orbit of 585 by 605 Kilometers. Per the mission’s design, the 3.63-Kilogram 3U CubeSat was to deploy four triangular reflectors each with a surface area of 3.9 square meters and a reflection coefficient of 95%. Initially, the Mayak project claimed the satellite could reach an optical magnitude of -10, making it the brightest object in the night sky aside from the Moon – surpassing the brightness of the International Space Station and Iridium satellite flares. The expected brightness was called into question before the satellite’s launch based on independent analysis, however, Mayak was still believed to become an object easily observable by the naked eye. As a relatively simple satellite, Mayak does not carry any telemetry equipment and was planned to automatically unfurl the large tetrahedral reflector shortly after deployment from the launch vehicle. The project team planned to identify the satellite by its brightness after deployment or its faster orbital decay than the other CubeSats launched alongside it. Amateur observers attempted to spot the satellite in the nights after launch with hopes of catching the bright artificial star moving across the sky, however, initial observation attempts came up empty handed. Conflicting reports emerged several days into the mission when some observers reported seeing what they suspected to be Mayak as a fairly bright object, raising the theory that the reflector – if deployed – was functioning in a highly directional manner, creating a specular reflection only visible from a narrow zone. Some observers in Russia reported seeing Mayak as a dim object around optical magnitude 6-7 with brief flare-ups to Mag 0. 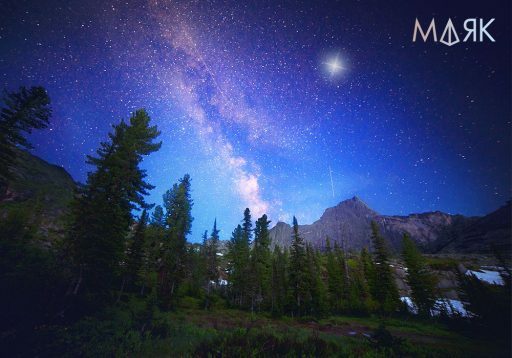 Other observation reports from the U.S., Canada and Europe were not able to visually observe Mayak and attempts made by the author of this website on several days of passes failed to detect Mayak down to Mag 5. 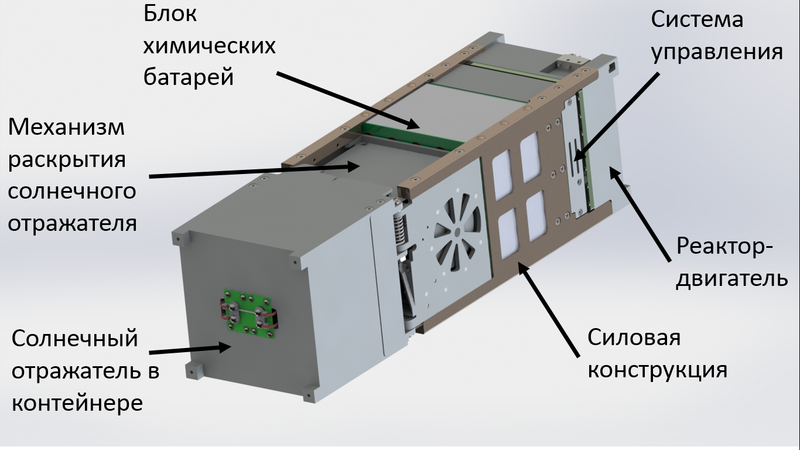 With mostly negative observations, doubts emerged on whether Mayak unfolded its reflector and suspicions were eventually confirmed when three weeks of orbital data were available for all 19 CubeSat objects released into the ~595km Sun Synchronous Orbit. Analyzing accumulated orbital data for the microsatellites and 19 CubeSats released by the Soyuz shows all in a fairly narrow band for their ballistic coefficients (Derivative of Mean Motion). If Mayak had deployed its reflector, it would be experiencing a much increased drag and decay faster than all other objects with an average change in mean motion several dozen times higher than the other 3U CubeSats deployed into the same orbit. Since no object stands out in terms of orbital decay, it is reasonable to conclude that Mayak failed to deploy its reflector. The Mayak project team reached the same conclusion and announced on Monday that the satellite, in all likelihood, failed to deploy its reflector. 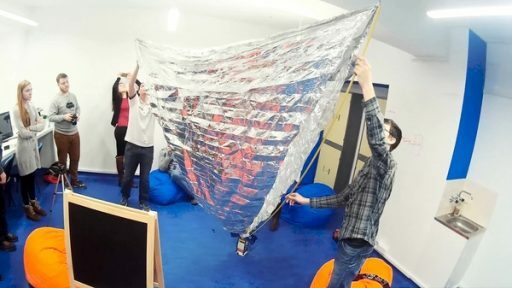 In an update issued on the project’s website, the Mayak team emphasized that one important goal of the mission was met – showcasing that a group of enthusiasts could design, build and launch a satellite into space. Mayak was the first crowd-funded satellite from Russia and had the overall goal of demonstrating that access to space had become a real possibility for amateur and enthusiast groups. In an update posted at Geektimes.ru, Mayak Project Manager Aleksandr Shaenko confirmed that the reflector most likely did not deploy and that spurious observations by amateurs and professionals were of other satellites and not Mayak. Shaenko admitted to some mistakes made during initial design of the project, like overly optimistic brightness calculations (leading to overly enthusiastic PR) & lack of radio equipment on the satellite which will make an investigation into the failure mode that transpired next to impossible. Based on orbital data, Shaenko rules out any meaningful deployment of the reflector as even a partial deployment would lead to a visible increase in the satellite’s orbital decay term. Per Mayak’s simple design, the project engineers did not include a radio as the satellite could be programmed on the ground to autonomously execute its critical tasks in orbit to complete the deployment of the solar reflector. Later in the design stages it was realized that a radio would be beneficial, however, no radio channel could be allocated to the satellite this close to launch. 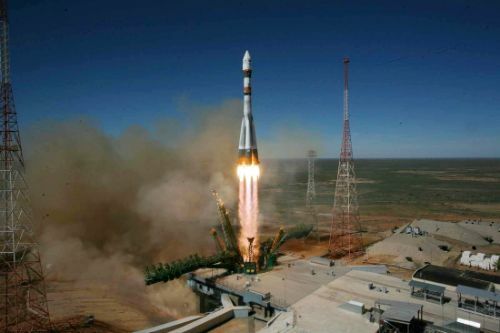 A backup plan of using a series of LEDs on the satellite to deliver basic telemetry in the form of a visual Morse Code never came to fruition, leaving Mayak without any means of communicating its status to the ground. 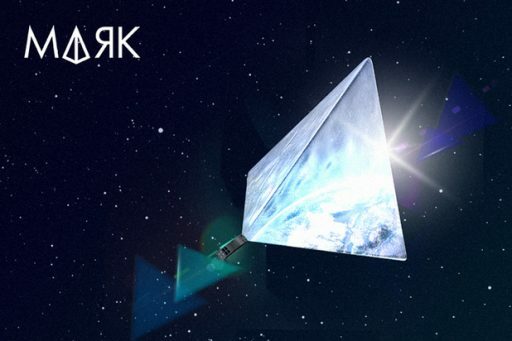 According to Shaenko, the Mayak project team will attempt to investigate the circumstances of the deployment failure – looking into potential design and manufacturing deficiencies via ground testing and ruling out an off-nominal deployment by looking at the condition of the other satellites released with Mayak. 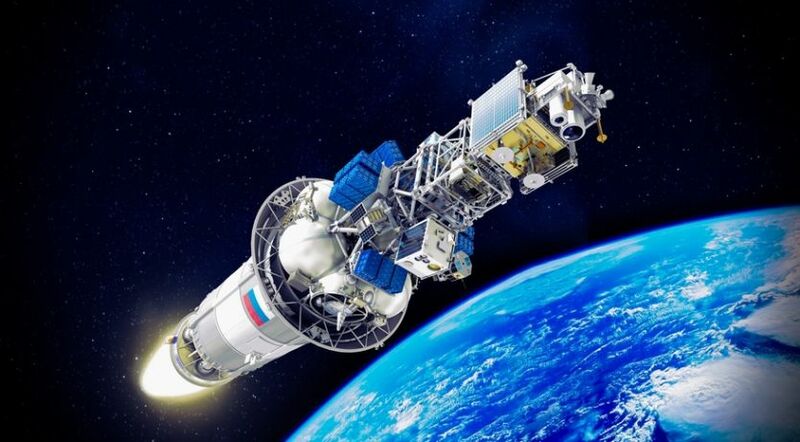 In an interview with the Russian Tass news agency, Shaenko said that knowledge on the cause of Mayak’s apparent failure would be useful for future projects, but no follow on plans for another Mayak satellite exist at the moment.